The Ventura County ACS Telephone System is interconnected through the Ventura County MESH Network and is established to provide telephone service to the participating County agencies and licensed Amateurs. 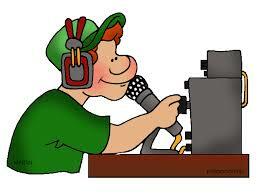 If you wish to join in on the ACS Telephone system, please contact WD6EBY at ARRL dot NET. The heart of the system is a commercial unit developed PBX by Grandstream Networks. This PBX provides many features rich options such as Voice Mail, Conference Bridge, Address Book and with permission – the ability to originate and receive telephones calls to and from the public telephone network. The Speaker Telephone of choice is the Grandstream GXP1625 which interfaces seamlessly to the Grandstream PBX.